was found unresponsive in the bathtub of her Roswell townhome in Jan. 2015 and died in hospice care in August 2015 after a six-month medically induced coma. Autopsy results released in March 2016 showed multiple drugs were in Brown's system when she died, which along with, being immersed in water, led to her death. "In court today, we finally finished a long journey for justice for Bobbi Kristina Brown," R. David Ware, a lawyer for Brown's conservator, said outside court. "The only thing left to prove is the value of her life. We intend to do that." A jury will now have to determine the amount of damages to be awarded to Brown's conservator Despite the ruling, no criminal charges have been filed against Gordon in the case. "It's not a criminal case but it doesn't have to be," Ware said. "We want to legally establish he was responsible for her injuries that proceeded her death and we've done that today. " 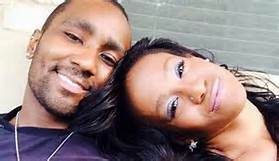 Read: Bobbi Kristina Brown Dies at 22: 'She Is Finally at Peace in the Arms of God' Bobbi Kristina's aunt, Leolah Brown, also spoke outside of court, saying that the verdict has been a long time coming. "They should have been gotten him. He should have been arrested. I'm angry. I'm angry because I want to see some justice. Something has to happen and it has to happen soon."